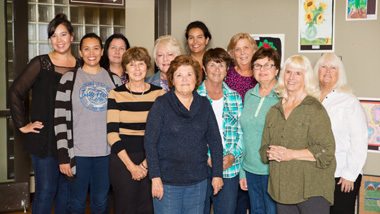 Mountain View Unit members, hailing mainly from Lakeside, Santee, Alpine and the greater East County area, have a distinct passion for helping children in the community as well as in the classroom! Most members boast prior involvement in local PTA groups or are active or retired educators. As a result, the Unit works hard to advocate for the hospital, including promoting healthcare initiatives to school districts or funding less well-known or new departments of the hospital. They meet on the fourth Monday evening of each month at the Lakeside Union School District and boast a low-key, casual vibe. Their main event, Boot Scootin’ Bunco, features a jeans-and-boots dress code, games of bunco, and plenty of down home fun.